I wish you a relaxed Sunday morning! 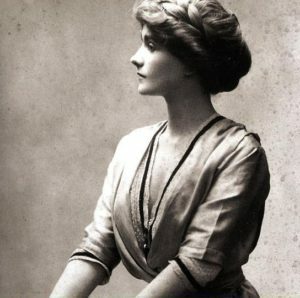 Let’s celebrate Coco Chanel’s birthday, the birthday of a fascinating fashion icon, today. 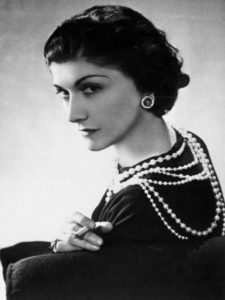 Gabrielle ‘Coco’ Chanel, a woman ahead of her time. She was fiercely independent, worked her way up from the bottom, and fought against paralyzing constraints against women at the turn of the 20th century. Gabrielle was sent to an orphanage run by strict nuns. She hated her years there, yet, inspired by her memories of the nuns who had raised her, and by servants’ uniforms, she decided to make black more chic by adding white at the neck and the cuffs. Then her signature monochrome look was born. She had picked up the nickname Coco while singing in local nightclubs aged 18, where her favorite song was about a missing dog called Who’s Seen Coco In The Trocadero?. It stayed with her forever. It was through her singing that Coco met millionaire socialite and heir Etienne Balsan, who lifted her into the world of the upper classes to which she desperately wanted to belong. She was one of the first designers to adapt typically masculine clothing for women’s fashion, using elements from each of her lovers’ wardrobes. Wearing her own distinctive styles, Coco stood out from the other ladies in Balsan’s group and caught the eye of the man who was to become the love of her life, wealthy English polo player Arthur “Boy” Capel. He financed her first boutique in Paris’s Rue de Cambon in 1910. The rest of the story is a legend. Bonus track of today: 2016 the name “Coco Chanel” found it’s way into a Punjabi song. I wish you a sunny Sunday and come back soon with a new story about fashion & music.